Say Hello to Planet Aid at the PLAN Zero Waste Conference - Planet Aid, Inc. 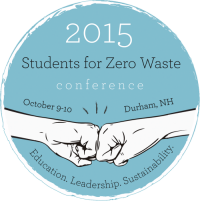 Planet Aid will be sponsoring and exhibiting at the Post-Landfill Action Network (PLAN) 2nd Annual Students for Zero Waste Conference on October 9 and 10. The event will bring together 500 students, academic professionals, and representatives from various zero waste fields. It will be held at the University of New Hampshire in Durham, New Hampshire. Stop by the Planet Aid booth to say hello and learn more about textile recycling!